Beautiful! 5 stars for your 6 newest pots! Hi Vivek! 4 x 5***** for your newest lovely pots! Excellent gallery! 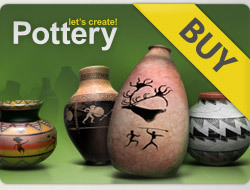 12 x 5***** for your newest amazing pots! I will visit again to see more! Hi, I visited your wonderful gallery again and finished rating. 8 missed pots with 5⭐️ stars. I will be very glad if you can leave stars on my pots you liked. All the best, Vivek! Enjoy the game!